We are proud to represent the following manufacturers as each makes a quality barbecue and helps to give Maple Mtn Fireplace a good name. Each of these manufacturers makes a variety of styles so you are sure to find something that will meet your needs. With features you don’t see on the most expensive grills, the natural gas Napoleon Prestige PRO™ has everything needed for professional grade backyard grilling. Superior heat retention provides oven-like performance and first-rate searing; you’ll know it’s a Napoleon with those iconic WAVE™ cooking grids for those distinctive sear marks. Use the integrated smoker tray and dedicated burner to add smoke to all of your favorite grilled dishes. On the outside, shining stainless steel body provides durability against the elements while chrome details add luxury. Not just durable on the outside; under the lid, is the same quality stainless steel used for the cooking grids, tube burners, dual-level sear plates, and basin. Bigger, heavier, hotter: the innovative LG Series is comprised to offer the most versatile cooking system available. The smoker is fueled by your selection of wood pellet blends. The LG burn system will complement your BBQing ability with true convection cooking, full digital control and a programmable meat probe to regulate the internal temperature of your food. Louisiana Grills' famous flame broiler allows for direct and indirect grilling, wielding eight distinct cooking methods to serve your every need. Sear or smoke, bake or roast, the LG will enhance all of your cooking experiences. 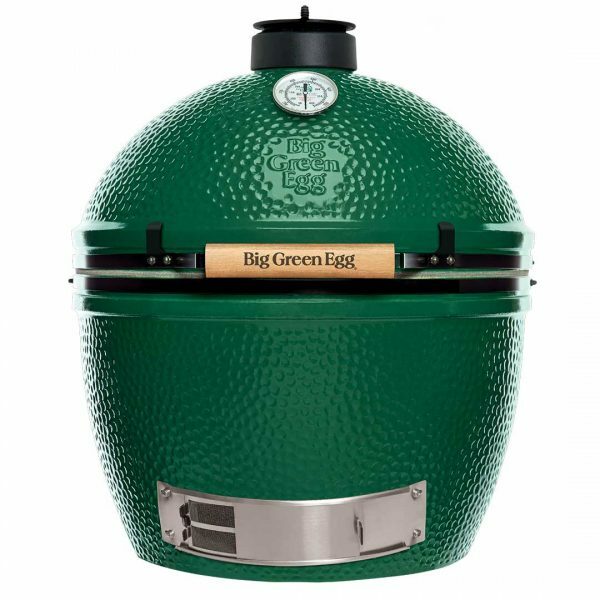 BIG GREEN EGG COMING SOON!